Green Aura Color Meaning : Relates to heart and lungs.It is a very comfortable, healthy color of nature. When seen in the aura this usually represents growth and balance, and most of all, something that leads to change. Love of people, animals, nature; teacher; social. Green: Definition – Love, harmony, nature and environment. Negative Side: A pale green could indicate the need for emotional dependency. A dull green could indicate conflicting emotions. A yellowy green could be the sign of unwarranted jealousy and possessiveness. Lime green can indicate stress within current relationships. Physical Associations: A clear green could indicate a sign of a good stable blood pressure, healthy heart and respiratory system. Metallic green the flickers could indicate food related illness and panic attacks. Murky green can reveal a tendency towards coughs and colds, viruses , chest infections and bronchial problems. Green rules the heart, lungs, respiratory system, cell and tissue growth and overall body regeneration. Emerald green is the color used in healing. The chakra associated with this in the Heart Chakra. Green color in the aura indicates growing compassion, love, and a desire to be of service, to help others. It is a color of balance, harmony, and a feeling of that I am OK, you are OK, and everything else is OK. This color reflects personal growth, openness of the heart, willingness to change and transform. Muddier shades of green can indicate possessiveness and fear of being unlovable. Green is the color of earth, of nature, growth, fruit and of self-acceptance. It deals with matters of balance, harmony and centering. This can be achieved finding balance and steadiness in oneself. Security and connection with the earth can be supportive so that one is able to regenerate the own reserves. So healing can arise in the sense of that there is an exchange of abundance to the missing. Positive characteristics of the color green are persistence and constant and industrious holding on the own goals. This can lead to wealth and money. Own property and land as well as clearly marked districts are preferred. Negative characteristics: Where grounding is going into excess there can be greed and jealousy, envy and and egotism. By a strong holding on material values egotism and behaving like a low-brow can appear which hinder you to expand your horizon over the self-made boundaries and walls. No insight into the necessity of developing yourself further on. – Mentally, a Green is intelligent, quick-witted, rational & logical, and very productive when tackling a giant “to-do” list. Emotionally, a Green is a creative problem solver, although sometimes compulsive and controlling. A Green’s feelings range from tolerance & compassion to insincerity. Socially, a Green is uncomfortable in group settings and prefers to be an observer. A Green chooses friends carefully and create bonds for life. Green aura color signifies relaxed attitude and ability to heal. 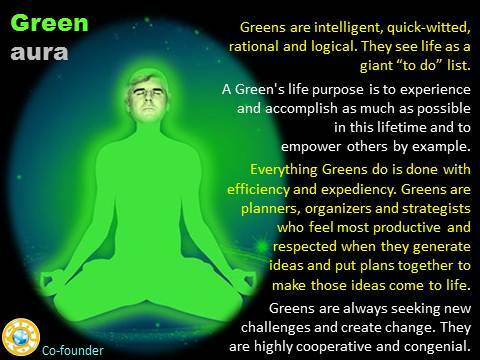 People with green auras emanate peace and it is very relaxing to be in the company of such people. People with dominant green auras usually love everything related to nature and they love being outside most of the time. They feel connection with nature and they instinctively know how to grow plants. Green is health and comfort representing nature and nature’s growth, the color of renewal, the color of healing. A green aura band is located between the blue and orange colors on the aura color wheel. A combination of many different colors, this aura can typically be found surrounding a person who is intelligent, quick-witted and hard working. This aura color symbolizes growth, renewal, balance and change. Those who emit a green aura is someone who love nature and is a very social person. To them, relationships and friends are very important and many of them do love animals. Green is also the color of healing – many psychologists or doctors have green in their aura. These people also have calm and balancing effect on others. 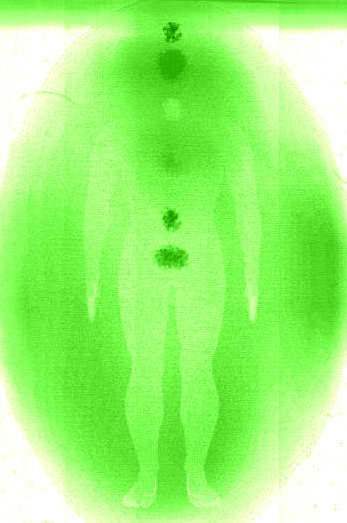 Those who have a bright emerald green aura possess natural healing abilities – medical professionals and people who are involved in the healing arts of any kind often have this kind of aura color. A rich dark green symbolizes abundance, wealth and prosperity. 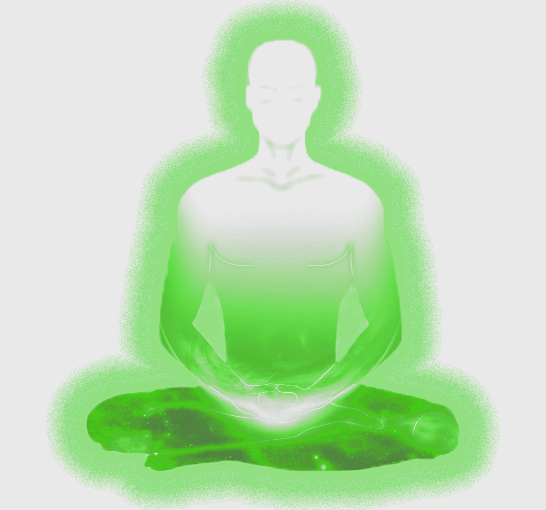 Those with auras that are predominantly green tend to be focused on business, finances, and work. They make great leaders, but are sometimes quick to dismiss the ideas of others. Although they are hardworking, efficient and bright, they can easily become workaholics with an inability to take their focus off of everything that needs to be done. They are prone to stress because of their work habits. 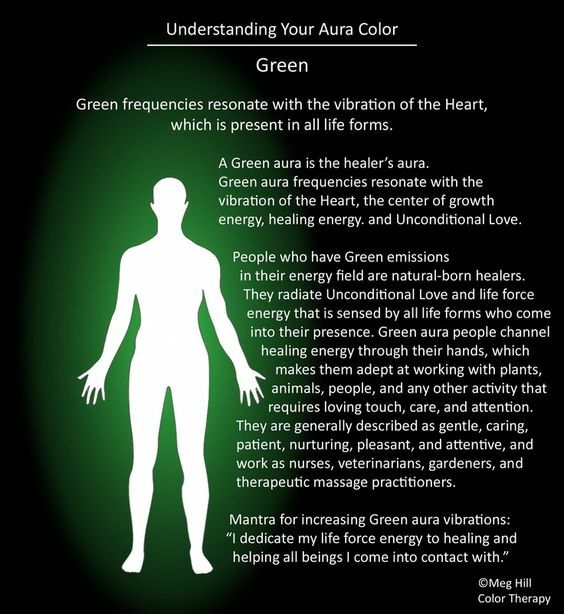 Because of this, health issues associated with green auras include high blood pressure, heart problems, and depression. These people usually have their own business and are goal-oriented. Muddy green can signify possessiveness, jealousy and untrustworthiness. Green is one of cooler and more soothing colors within the aura spectrum. This hue corresponds to the elements of earth and water. Green corresponds to the Heart chakra, and is a peaceful and healing color. 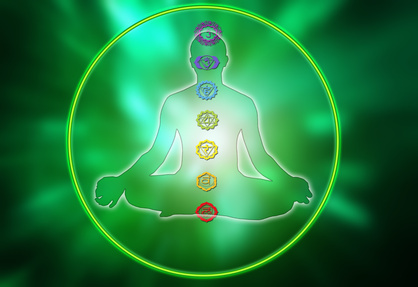 People with green auras, in whole or in part, are natural healers. They often derive great joy from helping others, and they’re usually very good at it as well. Most shades tend toward peaceful and relaxed behavior, with just a spark of inspiration and positivism to balance things. The mint green aura tends to be found in very spiritual people. Clergy or those who live their lives as pacifists tend to have this color present somewhere in their auric composition. They seek spiritual advancement as part of their overall growth. — like a Granny Smith apple — may seem like a sour, strong color in the physical world. But when it comes to auric colors, this shade is actually a quintessential healer color. You will find this in people in the medical profession, as well as caring and nurturing people. Lime green aura bearers can be difficult to handle. Because of the high yellow content in this color, they have the ability (like many yellow aura folks) to manipulate or take advantage of other people. However, the green spark gives them the ability to get away with it more often than not; the healing properties of green will also “reverse” onto themselves, reducing their guilt about deception against others. Aura colors can be changed, but yellow-based shades are often very reluctant or unable to change. Proceed with caution. Shimmering green auras are amazing to behold. Those with this aura tend to be social butterflies, loving nothing more than to be in the company of others. They enjoy the limelight; being the center of attention is their idea of heaven. Generally they mean well enough, and are fascinating communicators and story tellers. Emerald green auras are often seen in people who have experienced a lot of turmoil in life, and who have finally relaxed enough to close the door on those problems and move on with their life. They are often only too happy to lend their counsel to other people in similar situations. Aquamarine auras generally come before an emerald green aura has the chance to develop. This person may still be experiencing trauma or stress, but is just beginning to come to terms with those issues. They often turn to other people in trouble, or others who are in need of help, as a form of escapism of their own issues. However, the clouds in their lives are “clearing,” and offering help to other people is actually a healthy and therapeutic thing to do — provided that they don’t escape into other people permanently! Dark or muddy greens, such as olive green, can indicate a slow and sluggish thought process, especially where other people’s well being is concerned. There is also a tendency toward stinginess and selfishness, as well as a conservative nature that is so deeply ingrained that it becomes detrimental instead of merely cautious. Try some aura polishing techniques if you need help. Other deep green shades indicate positivism, benevolent and caring personalities, as well as healing tendencies. 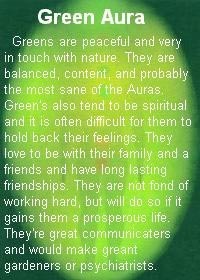 Green aura bearers have a strong connection with the earth and with other people. These are the types of people who make excellent friends and caring partners. GREEN is absorbed by the Heart Chakra and controls the cardiac Centre and strongly influences the heart and blood pressure. It is linked to the heart, lungs, circulatory system, cardiac plexus and the complete chest area. The Heart Chakra is the ‘Harmonizing Element’ and bridges the gap between the physical and spiritual worlds. It allows a person to feel compassion and empathy and gives one the ability to give and receive graciously. The Hearth Chakra resonates with ‘unconditional love’. If you observe bright shades of green blending into an electric blue in a person’s aura colors they more than likely have healing abilities and generally work with healing energy. The muddier green shades can signify jealousy, possessiveness and untrustworthy. Green is the second basic color tone. It loosens and equalizes the etheric body and is the color seen most commonly and prevalent in the aura.